Pretty in PINK! 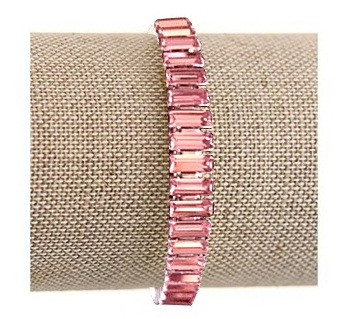 A stunning and sparkling piece of jewelry, the Swarovski Baguette Stretch bracelet with LIGHT ROSE crystals is so elegant. Wear it alone, or stack it with your favorite with bangles, or more of our crystal bracelets! Infinitely versatile and so easy to wear, the Baguette Stretch collection is an everyday style essential.